In a formal sense, it is the practice of tuning your body into whatever moment arises in every given moment. This could be sensations from the external world, like smells or sounds. It could also be internal sensations, like how your chest moves up and down as you breathe. From an informal perspective, it is applying this type of attention to more of the activities that you complete every day. If you’re at work, for example, mindfulness might be taking a moment to experience how your chair feels against your body or the coolness of your keyboard. Practicing mindfulness is one of the fastest and easiest ways to embrace the best of what life has to offer. Find a comfortable environment, begin paying attention to your breath, and return to that moment whenever your mind tries to wander. With an effort at mindfulness, it becomes possible to begin living in the present moment with greater regularity. In 2014, the Dalai Lama was asked during an interview what he was most surprised about regarding our modern life. This was his response. "Man is what has surprised me most about humanity. Because he sacrifices his health in order to make money. Then he sacrifices money to recuperate his health. And then he is so anxious about the future that he does not enjoy the present. The result being that he does not live in the present or the future. He lives as if he is never going to die, and then dies having never really lived." Mindfulness removes the sacrifice of living that often comes with the pursuit of a goal. Starting its practice allows you to enjoy life more as you are achieving your goals. So here’s the 30-day challenge. Include the practice of mindfulness in your life for just 1 month. Focus on being in the present more. Become more aware of what is happening around you. You may find that you enjoy your food more. You might enjoy spending time with your friends more. You might even enjoy spending time with your in-laws… anything is possible! Now here’s the best part: mindfulness can be practiced at any time. If you’re folding laundry, you can practice mindfulness. If you’re washing the dishes, you can practice mindfulness. No matter how boring the task at-hand may be, you can focus on mindfulness and experience the benefits this present moment has to offer. It may take some practice to get into the habit of being mindful more often. If you’re willing to commit just 30 days to mindfulness, even if it may be difficult from time to time, you will see some benefits begin to appear. The demands of the day can make it difficult to focus on mindfulness. Whether it’s a pressing deadline or the dogs just made a huge mess because they figured out how to get into the trash can, we are geared into a “now” attitude. That deadline needs to be met “now,” even though the work is due in 7 days. We need to clean up that mess “now” because it is bothersome. Here’s how you can balance those demands and expectations with an emphasis on mindfulness at the same time. Every time you switch between tasks, you can lose up to 15 minutes of total productivity. All of that lost time adds up every day. Even if you switch tasks 4 times per day for a week, you’re losing up to 7 hours of total productivity. So focus on one task at a time instead. Make dinner when it’s time to make dinner. Work when it is time to work. Exercise when it’s time to do so. Stop trying to save time here and there by doing multiple things at once because it will likely cost you time instead. #2. Be slow and deliberate. Once you decide to do one task at a time, the next step is to prevent yourself from rushing through that task. Be deliberate with your actions. Take your time and experience the moments that are happening. #3. Cut out the extra stuff. If you really are worried about time, then go through your schedule and cut out the needless stuff you do every day. Give yourself time to concentrate on what is happening right now. When you figure out what is important, it becomes easier to let go of the things that are less important. In mindfulness, sometimes the best way to do more is to actually do less. #4. Give yourself transition time. If you schedule tasks close together, then your mind struggles to keep up with the switch. Try to give yourself time to relax and focus on the present moment between the things you need to do every day. That will give you more time in case something takes longer to complete and it may open up some time for meditation, relaxation, or a greater focus on mindfulness for a few minutes. #5. Take pleasure in the art of doing nothing. Literally do nothing for a minimum of 5 minutes every day. Just sit in a dark room and enjoy the silence. Your brain is going to send a torrent of thoughts your way at first. Acknowledge them, but file them away for attention at a later time. Focus on the feelings and sounds of your breathing. Close your eyes and get in touch with your internal world. This stillness can provide an amazing experience that you will crave every day. #6. Focus only on the present. Many people are either lost in the past or worried about the future. In this present moment, the past only defines us by our choices to not repeat the mistakes we have made. The future is a place of possibility, not certainty. If you find yourself focusing on the past or the future, take a moment and bring yourself back to the present. Focus on what is going on right now. #7. Actively listen during conversations. The benefits of mindfulness can be applied to all of our senses and our actions. This includes being present when we are talking with others. Instead of anticipating what someone will say or trying to interrupt to make a key point, stop and try to listen. Focus on the words that are being said to you instead of the words you want to say to them. How we eat tends to be a reflection of how we see life. How many times have you rushed through a meal so you could go do something else? If you stop to savor the food, a meal becomes less of a necessity and more of a joyful experience. The same thing happens when we slow down and savor the moments that life brings us as well. 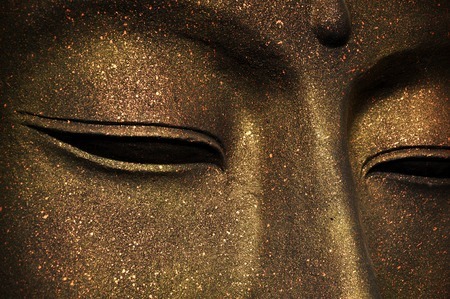 Every moment that you spend in mindfulness is a moment that can become meditation. Instead of seeing boredom or drudgery in the rituals we all go through in life, look at them as opportunities through the eye of mindfulness. It is a view that can change everything. Mindfulness has some very practical reasons for its incorporation into daily life. Making it a daily habit also provides your body with some scientific benefits that are worth considering as well. The practice of mindfulness, either formally or informally, is very similar to meditation. There is even an official “mindfulness meditation” that can be practiced. Because of this similarity, the scientific benefits of mindfulness are very similar to what meditation can provide. #1. It boosts the immune system. A healthy immune system helps to keep us feeling physically good. Practicing mindfulness on a regular basis can give the immune system a boost so that it functions more efficiently. If you try mindfulness for 30 days, there is a good chance that you’ll experience this scientific benefit. #2. It shifts the mood centers of the brain. Practicing mindfulness on a regular basis also shifts where activity occurs in the various mood centers of the brain. People who regularly focus on mindfulness have fewer negative mood states because their brain activity moves from the left side to the right side. This transition is directly associated with an emotional state that is more positive. It is such a powerful shift, in fact, that it can reduce the physical symptoms of depression in some individuals. #3. It causes the brain to grow. There is an increase in gray matter with regular mindfulness as well. This growth happens within the pre-frontal cortex, which is the part of the brain that is responsible for your emotional response and how focused you are on a task. #4. It may reduce the chances of age-related damage. People who regularly focus on mindfulness may also see a prolonged period of time before age-related declines in brain structure and activity may occur. This means there is the potential that you can stay sharper for longer periods of time as you age. #5. It protects against DNA damage. Mindfulness is also believed to have a direct impact on telomerase. What is telomerase? It is an enzyme which protects your DNA from damage that is caused by stress or from the natural aging process. This means a focus on mindfulness can actually protect your cells from entropic damage that occurs as we get older. #6. It guards against mental health issues. 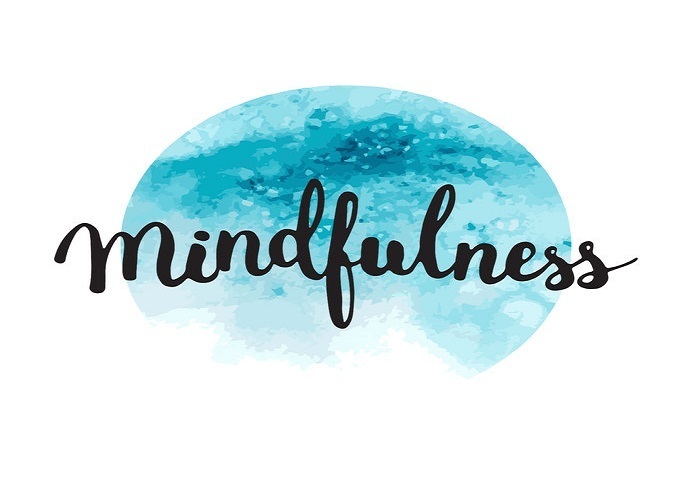 For individuals who have already suffered from a bout of depression and recovered, the inclusion of mindfulness into a daily routine can reduce the chances of a relapse occurring by more than 40%. Other mental health issues, including schizophrenia, may also benefit from mindfulness. People who have a direct relative with schizophrenia are 10 times more likely to develop it themselves compared to the general population. Mindfulness can provide relief for the negative symptoms of this mental illness and reduce the risks of it developing in people in high-risk categories. There are some scientific benefits to the practice of mindfulness. There are also some very practical reasons why mindfulness should be considered. You don’t need to pay anyone anything in order to add mindfulness to your life. All you need to do is be open to the benefits that mindfulness can provide. You can practice it anywhere and at any time. You can even work on mindfulness right now while you’re reading this content. Focus on the color of the text, the temperature of the room, or the sounds that you hear right now as you read. That’s really all it takes to include mindfulness. #2. It allows us to accept life. There are many things about life that we cannot change. Mindfulness allows us to recognize and then stay in the perfection of each moment, no matter how painful that moment may be. This allows us to be in control, even if life seems to be spiraling out of control at that moment. #3. It can be practiced by anyone. Mindfulness is at the core of virtually all spiritual beliefs. Whether it is through prayer, meditation, or some other spiritual practice, every major religion in the world today encourages mindfulness. Those who put their faith in science can also practice mindfulness and see real benefits. In other words, there are no excuses. #4. It is genuinely helpful. The panacea effect can help make life better from a personal perspective, but mindfulness is more than just a perception of help. It offers the possibility of real help for many bothersome physical issues, including chronic pain, personality disorders, and even substance abuse. #5. It requires no sacrifices. Mindfulness may offer some of the same benefits of meditation, but it isn’t the same thing. Mindfulness is simply a different approach to life. If you’re stuck in traffic during a long commute and you’re at a standstill on the freeway, where is your focus? On the frustration of not moving? Or on the warmth of the sun, a favorite song on the radio, and the feel of the car seat on your back? Focusing on the latter instead of the former creates more happiness without the requirement to sacrifice anything – except for a negative perspective. #6. It allows you to trust yourself. Mindfulness does not require you to have a great hope in the supernatural. It does not ask you to rely on the actions of others. It simply asks you to pay more attention to what is happening right now. It asks you to trust your senses so that you can then use your personal experiences to extract the maximum benefit from that moment. You learn to trust your perceptions. #7. It goes beyond the personal reflection. In many cultures today, we are all our own #1 priority. We focus on ourselves before we focus on others. Mindfulness exercises encourage us to look beyond the reflection to the connections we have with others in this world. It asks us to seek out moments to understand that we aren’t all just islands or ships that pass each other in the night. Living authentically is a priority for many in today’s world. Mindfulness is the key that can unlock this authenticity. Each moment offers the opportunity to see and understand the responsibility we have to ourselves, to each other, and the world at large. Instead of setting life on cruise control, mindfulness asks us to grab the wheel and take full control over the direction we are going. #9. It offers no restrictions. Jon Kabat-Zinn has always suggested that mindfulness is just a purposeful way to stay focused in the present moment without judgment. It’s a way to know what is going on in your mind right now. When you can discover where you are, it becomes possible to treat the maladies that are bothering you. #10. It makes you feel good. There are many reasons to be stressed out and angry in today’s world. From terrorism to politics to financial difficulties, mindfulness allows us to cope with these stressful triggers in a meaningful way. Instead of allowing the emotion to control your decisions, mindfulness takes you outside of the emotion so that you can make a better decision with the big picture in mind. #11. It offers immediate benefits. Just 5 minutes spend in mindfulness can help you feel the potential of what can happen when you focus on this present moment. There are many reasons why you should practice mindfulness. There is only one reason, however, that is important. You want to see how mindfulness can help you to start living in this present moment. The benefits of mindfulness are many. Whether you focus on starting a mindfulness meditation routine or you prefer quick mindfulness exercises that you can practice anywhere, every moment you spend in the present will be a time investment that you won’t regret. See how you feel after a month. Or take mindfulness on a day-by-day basis. Do what you feel is right for you. How has mindfulness changed your life?